Ingredients: Olive oil, everlasting extract, lavender oil, myrtle oil, linalool, limonene, geraniol, eugenol. - Red or brown pigmentation spots: apply thin layer on the skin regularly in the evening. 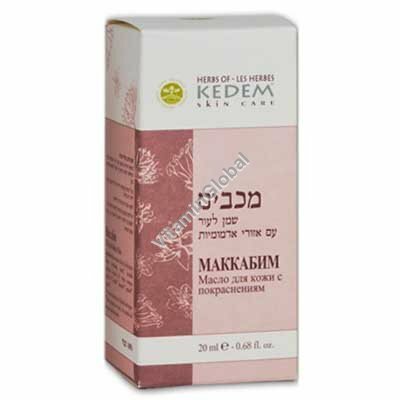 - Scars, stretch marks: apply thin layer locally to complete absorption. - Gums: massage gums in the evening. - Blue spots or marks left by healed wounds: apply thin layer locally every 3 hours, for 3-6 days. Warnings: Do not use internally for children under 5. Do not use on gums during the first 3 months of pregnancy.